Moving at the Speed of Creativity | Anyone Studying Student Access to Khan Academy Videos on Netbooks? Farewell Bloglines, my first digital newspaper Time to ditch Diigo or pay up? 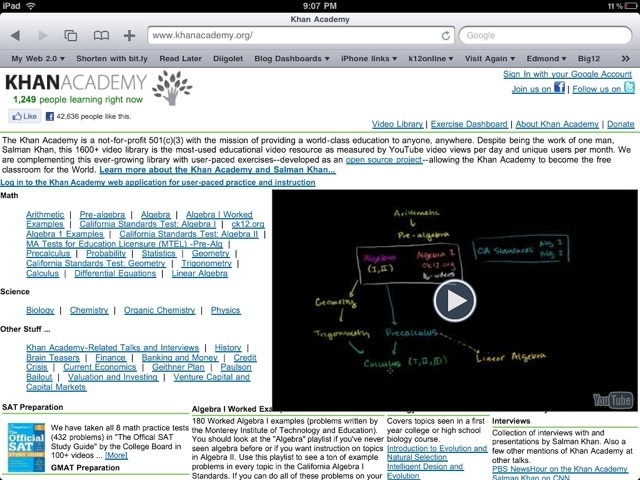 Anyone Studying Student Access to Khan Academy Videos on Netbooks? I wonder if any university professors or other academic researchers are doing a comparative study of Algebra students equipped with less expensive netbooks and access to the FREE Khan Academy? H/T to my mom for sharing this article via her Posterous blog!